Andrew Hogarth – Lakota-Sioux Ceremonial Chief Frank Fools Crow. Lakota-Sioux Ceremonial Chief Frank Fools Crow. Frank Fools Crow was born in 1890 or thereabouts at Porcupine on the Pine Ridge Reservation, South Dakota. Actual birth records were not kept but most accounts associate his birth around the time of the Wounded Knee massacre. His maternal and paternal ancestry include prominent figures in the Indian community. His maternal grandfather was Porcupine Tail after whom the community of Porcupine, South Dakota was named. His mother Spoon Hunter died shortly after his birth. His paternal grandfather Knife Chief participated in the Battle of the Little Bighorn. His father Bear Eagle and uncle Iron Cloud were both important influences in his life. Bear Eagle lived in the traditional manner and refused to send his grandson to school. Consequently Fools Crow spoke, read or wrote very little in English, but was rich in the way and customs of traditional Lakota life. Iron Cloud gave his ceremonial pipe to Fools Crow just before his death in 1917. This event marked the maturing of Fools Crow as a Medicine Man. Throughout his life Frank Fools Crow worked tirelessly as a medicine man and as a spokesperson for his people, the Oglala -Lakota. As a medicine man he led Sun Dances, performed yuwipi and sweatlodge ceremonies. Fools Crow also practiced healing through the use of herbs. 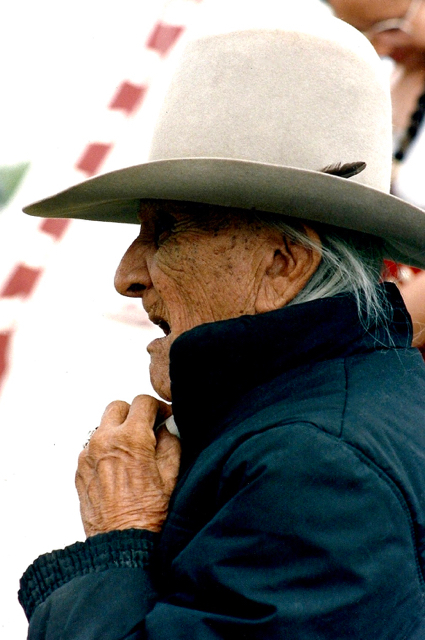 As a spokesperson for his people, he met with President Gerald Ford, led his people in honouring Indian participants at the anniversary of the Little Bighorn, encouraged refusal on monetary settlement for the seizure of the sacred Paha Sapa’s and acted as a negotiator in the 1973 siege at Wounded Knee. 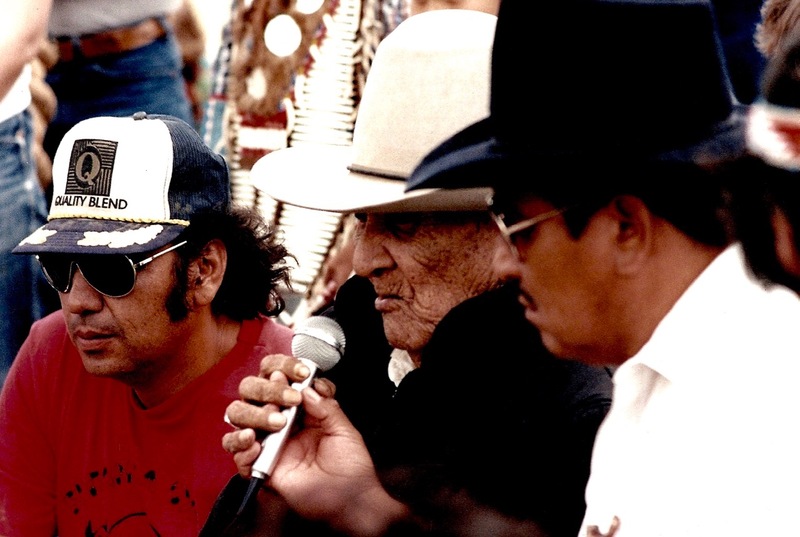 As a ceremonial chief, Frank Fools Crow led his people by example. He maintained and promoted traditional Lakota values while seeking a way in the white man’s world through understanding and non-violence. Frank Fools Crow died in late 1989. I had the pleasure to meet and photograph Fools Crow on the anniversary of the Little Bighorn battle at Cedar Lodge, South Dakota four months prior to his death. The Ceremonial Chief of the Lakota Nation was attending a small powwow with his family to celebrate the fiftieth anniversary of the Badlands National Park. This entry was posted onSaturday, August 4th, 2012 at 4:21 pm and is filed under American Indian, Great Plains, USA, Photography. You can follow any responses to this entry through the RSS 2.0 feed. You can leave a response, or trackback from your own site.